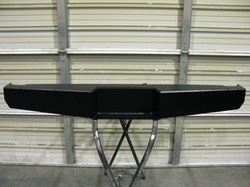 We have recieved numerous requests for a one piece budget oriented Samurai front bumper....here it is! Same great styling that all our bumpers are known for, with excellent build quality, strong to withstand the rigours of offroading. Fits standard winches up to 9500lbs. Completely bolt on and comes with all hardware required. Bumper comes complete with bull bar. Available with or without bolt on D-ring/Clevis mounting holes at no charge. Available with or without bull bar. 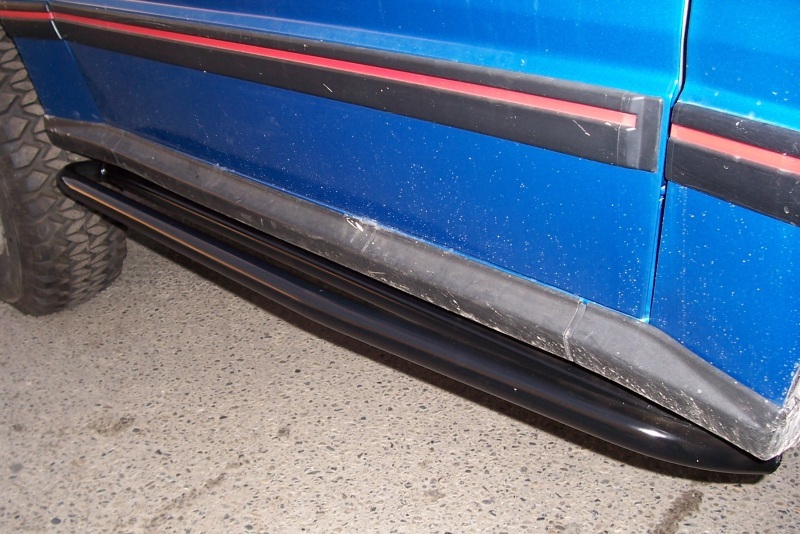 See Photo Gallery for more of our Samurai bumpers. Standard duty mount brackets are included with each bumper. Constructed to match the front Sami bumper...great style, strong, excellent build quality. Fully boxed construction. Integrated rear step and license plate mount. Comes with or without light holes. Includes all brackets and hardware required. Light package available on request(call for pricing) or part numbers so you can get your own. 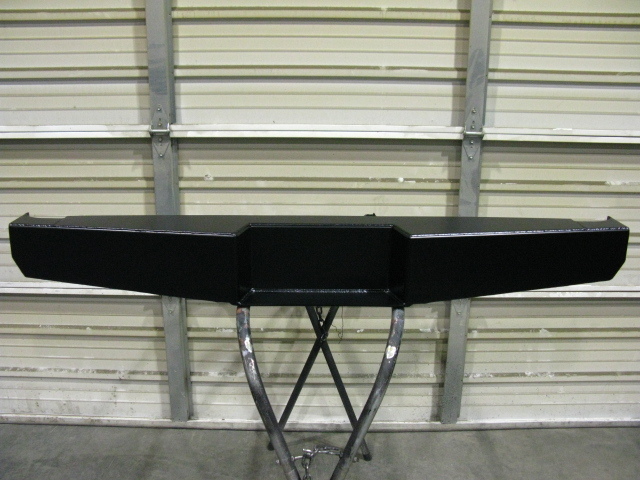 Heavy duty swing out style carrier rear bumper with a heavy duty 2" receiver and 20L jerry can holder. Allows fitment up to 33" tire. Built with extra heavy duty bearing style spindle for swing out. Easy to use and keeps the weight of the tire and jerry can off your rear door! Save your tailgate! 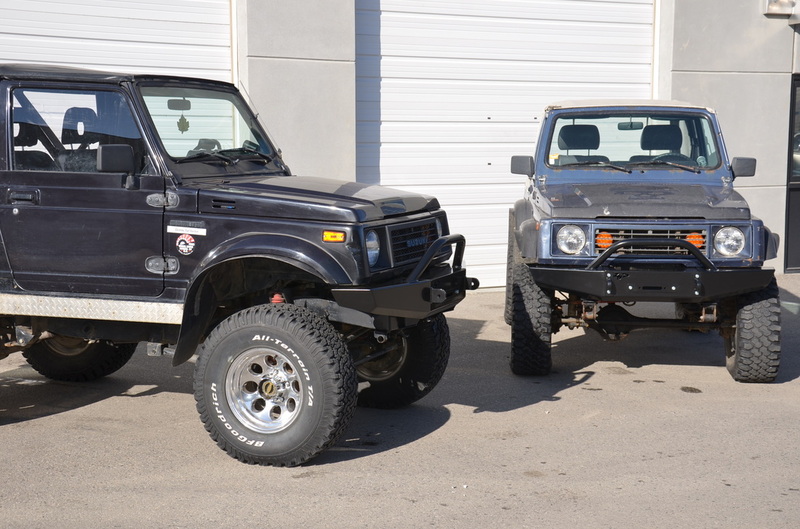 The same great design as our original bumpers, but with more added protection for the front of your Samurai. Available with or without bolt on D-ring/Clevis mounts. Extreme duty brackets add $89.00. Protect your fuel source from nasty objects or rocks! Manufactured in house for quality control, made from HD 3/16" material, cut and formed for your Samurai fuel tank protection. Mounts to spare tire carrier and allows you to carry an extra fuel reserve! Fits 10L Jerry Can. Built from .125 and .188 wall thick material. Very stylish and durable. Fits tight to spare tire. Bolts to outside of wheel or inside with receiver style pull pin. Protect your rockers!. Our ‘Trail Wedges’ provide protection for those vulnerable rockers, but also provide a convenient step for getting into those lifted trucks. Great looking design, tough 1 5/8” tubing and our unique wedge design keeps rocks, trees, and other trail obstacles off your body. Extremely nice pieces for the people who want style and good looks to go with strength and function. Completely bolt on for ease of installation. This steel belly pan is tough and allows your Zuk to slip over the big rocks without hanging up or damaging your frame, exhaust or vital components. The positive mounting design eliminates any J-bolt or thread damage. Combination t-case mount / skid plate. 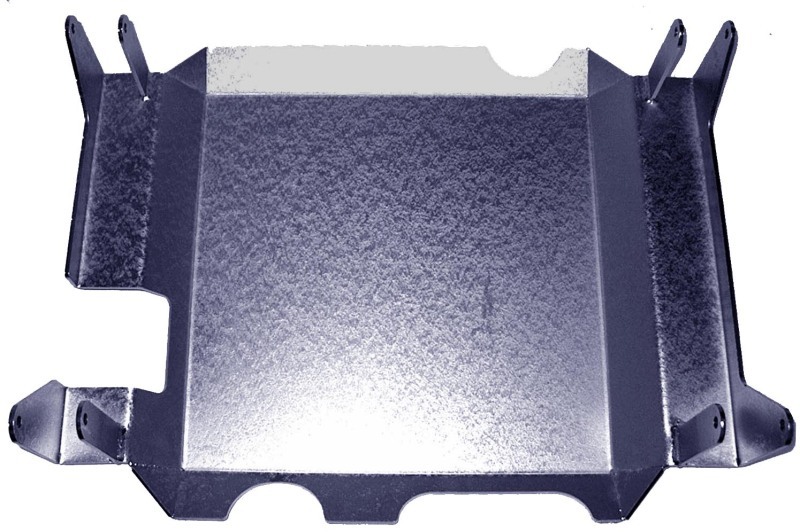 This extreme-duty unitized design will not flex or distort and actually adds strength to your case. It provides protection where you need it - not where you don't and weighs only 12 lbs. 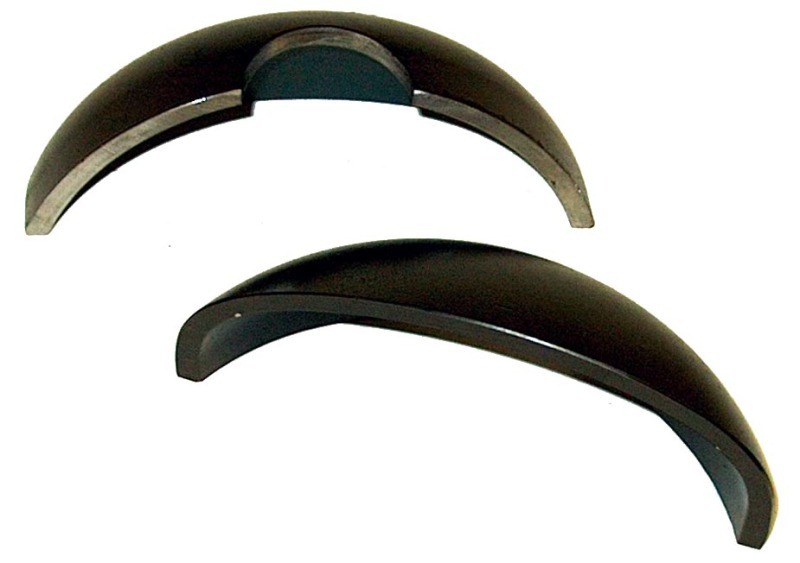 It is also designed to accommodate drum or disc e-brake upgrades. Solid Transfer Case Mounts provide ultimate reliability and smooth operation. Simply the BEST possible mounting solution period!! If you are ready to do a spring over conversion on a Samurai you should consider strengthening the front axle to accommodate the added performance and adventure you will likely subject your Samurai to. Unlike other Suzuki Samurai gusset kits, stiffening only the center of the axle tube and limiting its ability to absorb and deflect, causing the ends to kink without much effort - these axle trusses have extra gussets that not only brace the center of the axle but each side of the spring as well. Bullet proof protection for your diffs without decreasing ground clearance. 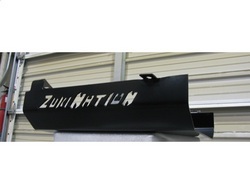 Designed to fit your stock Samurai housing front or rear. Also fits the Samurai/ Sidekick hybrid housings.